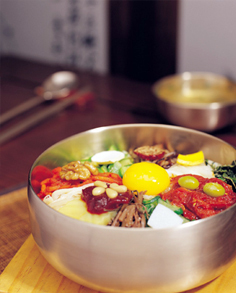 A diverse array of foods and dishes can be found throughout Korea. Korea was once primarily an agricultural nation, and Koreans have cultivated rice as their staple food since ancient times. These days Korean cuisine is characterized by a wide variety of meat and fish dishes along with wild greens and vegetables. Various fermented and preserved food, such as kimchi (fermented spicy cabbage), jeotgal (seafood fermented in salt) and doenjang (fermented soy bean paste) are notable for their specific flavor and high nutritional value.